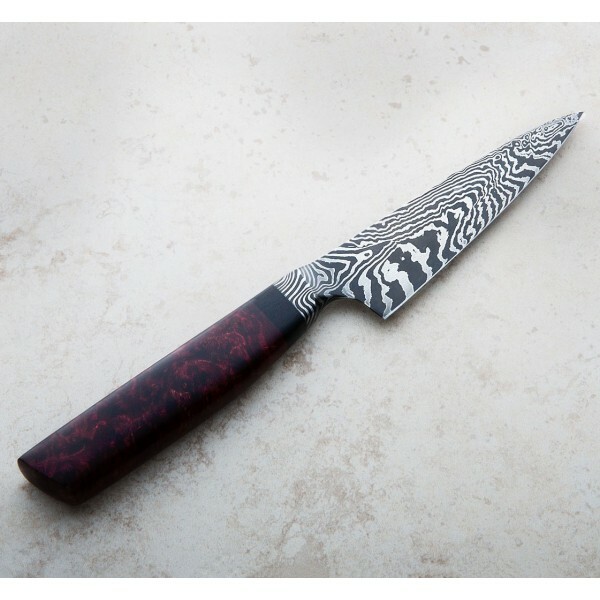 The 115mm / 4.5" blade is hand forged to shape from housemade 1089 / 15n20 damascus, then hollow ground with a 48" wheel to create a tall, thin and stunning one-of-a-kind paring knife. The handle is carved from dyed, stabilized maple burl with ebony bolster, matching the integral construction beautifully. 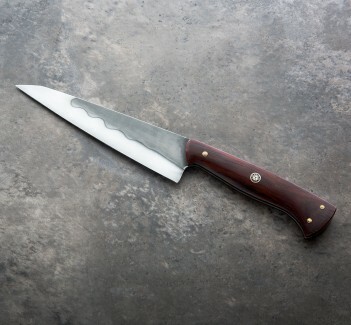 Nick Anger builds world-class custom chef knives and culinary tools at his one-man shop in northern Vermont. 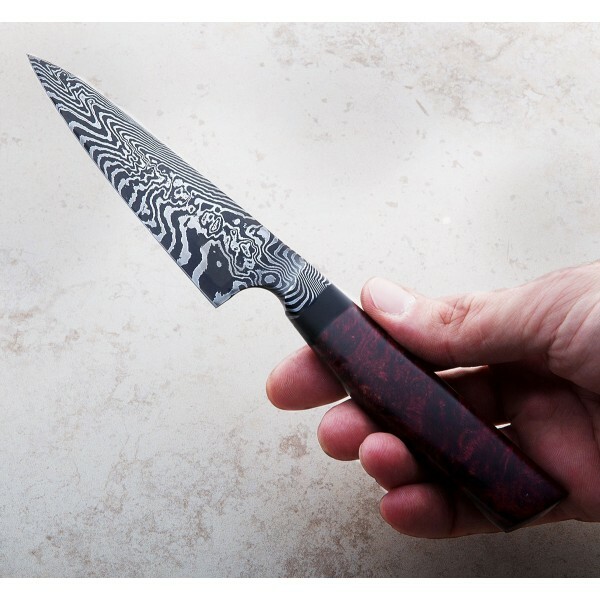 Creating damascus steel in small batches, Nick normalizes, hardens and tempers each blade with precision for optimal performance characteristics. Blade: 115mm / 4.5". Overall length: 9.25". Blade width at heel: 1.9mm. Blade width 1" from the tip: 0.9mm. . Blade height at heel: 32mm. Weight: 3.1oz / 88g. Blade: 1089/15n20 damascus. 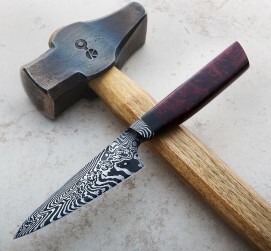 Handle: Dyed, stabilized maple burl with ebony bolster.